Cloud computing solutions are the latest popular development in technological advancements. However, a number of businesses still fear that adopting these solutions would not be in their best interests. So what are the major concerns held by businesses and are they well founded? Concerns on Security, Implementation, Reliability? Research has suggested that the main concerns surrounding cloud technology include security worries alongside adoption or implementation difficulties and reliability. The truth is that while SaaS (Software as a Service) can be exposed to a number of vulnerabilities and dangers, such as those listed, the services are all protected with high security measures in order to ensure that ultimate safety and security of data is maintained. This means that a number of businesses could be needlessly rejecting cloud computing solutions based on unfounded or misguided concerns. Perhaps the biggest concern over SaaS systems is with regards to the security of personal data and information, which is stored on remote services and systems not physically within the company. The files are be accessed via the Internet, meaning that a number of potential users fear the risk of Internet intrusion or viruses. These fears, while reasonable, are somewhat misguided. One of the main intentions with any provider or developer of SaaS services is to protect the sensitive data which they contain. The system itself only has two points of data access: that of the user and that of the provider or server. This means that there are fewer targets for Internet hacking, and that the encryption of login details and passwords helps prevent other programs from gaining access to the information. What many people fail to consider is that locally hosted programs are often even more vulnerable to attacks from hacking devices, with some even originating from within their own office. By hosting these services offsite and allowing access via the Internet, the risk of internal corruption is largely reduced. This is because the administration processes are often held with the server or developer and therefore permissions can be enabled or disabled for specific users with greater speed. Any unwanted activity, therefore, can be stopped almost immediately. Online systems also allow for how often and frequent users log-in, or attempt to log-in, to the services, letting the activity be monitored thoroughly. Another key concern for businesses considering integrating or implementing a new system is the integration process itself. Typically installing new software requires three things: time, money, and training. The last of these is perhaps what most worry about, as ensuring that your employees are able to use new systems is crucial in ensuring optimal business operations and boosted productivity and performance. SaaS or cloud computing systems typically do not require the installation of software products, as more often than not, SaaS products are accessed via a Web browser. Whilst there may still be a need to train staff on using the new system, this will be minimal as the systems are designed to be similar to pre-existing software. Training is an integral part of any business update and should be expected with all software and service integrations. 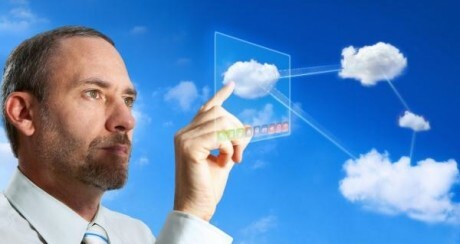 The last major concern over cloud computing solutions is over the reliability of the service. Due to the Web-based nature of the product, there are growing concerns surrounding the consistency of access given slow broadband speeds and often unstable connections. However, the fact remains that these problems can afflict traditional local-based software as well, since the use of Internet services is often the background to all of our usual business procedures. Besides, cloud computing systems, while predominantly Web-based, can be accessed offline, provided relevant software or programs are installed and used. This means that cloud computing solutions can be accessed even during periods of Internet connection disruption, increasing the reliability of the service. 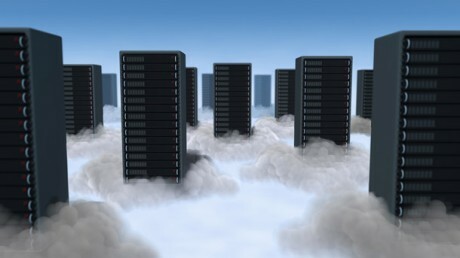 Also, cloud computing removes a lot of the physical processes from the local computer and moves them to those within the server. Therefore, there is less strain on the systems within the office, enabling them to perform at higher and faster levels and reduce the likelihood of computers developing faults or functioning at painfully slow rates while in the middle of a particular assignment or operation. About the author: This article was written by Workbooks, leading supplier of CRM software. Cloud computing solutions seem like a great technology. I’m thinking of trying this in our company for me to identify the advantage and disadvantage of it.